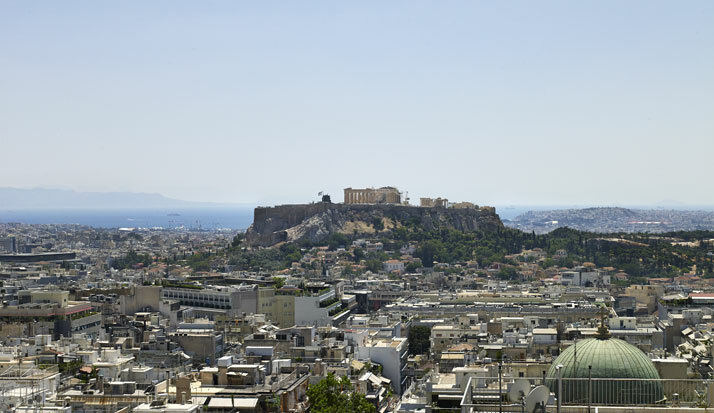 Not everyone has the opportunity to live inside a history-laden architecture monument, especially in a city like Athens, Greece, which has seen so many changes in its urban fabric over the past century or so. 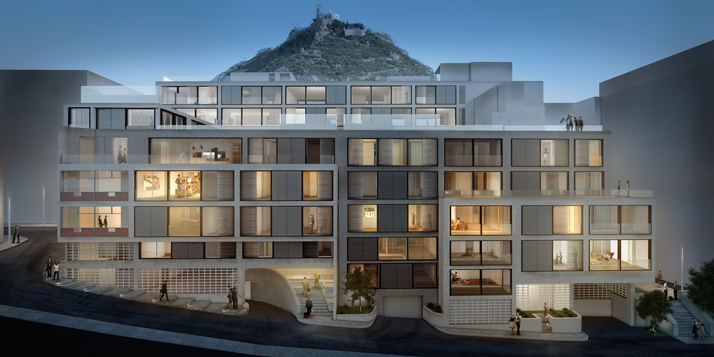 This is however about to change as the luxurious condominium One Athens, the first of its kind in the city, is nearing its completion. Developed by Cyclamino S.A. (a partnership between the Joannou family and businessman Miltos Kambourides), this ambitious project, unique both in vision and quality for Greek standards, sees the transformation of a 1960’s listed building by celebrated architect Constantinos Doxiadis, into a contemporary residential complex, catering for even the most demanding urban dwellers and cosmopolites. 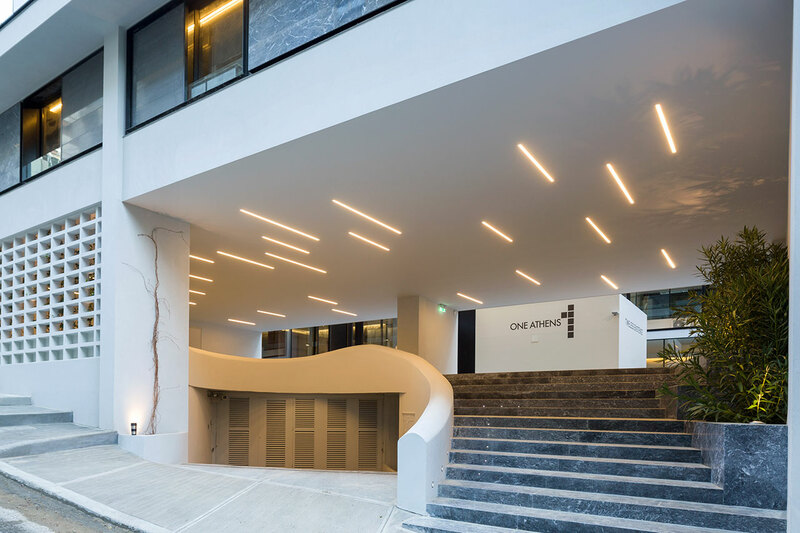 The redesign of the building was undertaken by Divercity Architects, an architecture practice based both in London and Athens, and developed to the highest quality standards by J&P-AVAX and is expected to be completed at the end of 2014.
photo by Nikos Daniilidis, © One Athens. One Athens rendering © One Athens. Constantinos Doxiadis in his top-floor office, designed to be eye-level with the Parthenon. 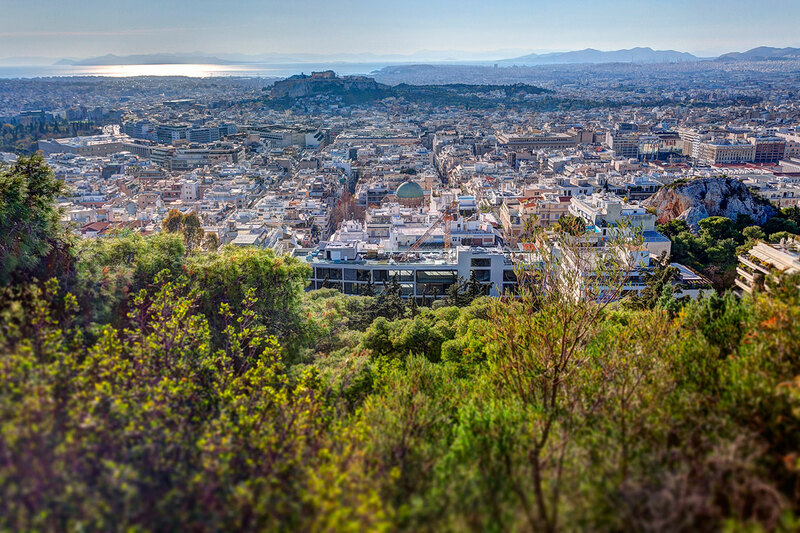 Bordering Lycabettus hill and its verdant pine forest (a rare luxury in its own right in the densely-built capital), One Athens is situated in the upscale Kolonaki district, a neighbourhood that, for generations, has gathered the city’s aesthetes, celebrities, businesspeople, fashion gurus and art lovers. 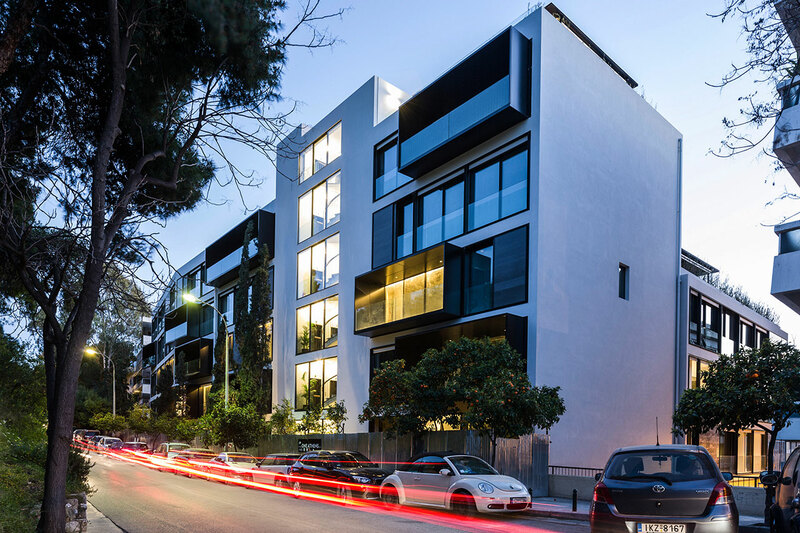 One Athens comes as a natural addition to the district's array of prestigious establishments and residences, since it brings a new lease of life into the famous listed ‘Doxiadis Office Building’. Erected between 1958 and 1972, the building once housed the Athens Technological School, the Graduate School of Ekistics and the offices of the Doxiadis architecture and urban planning firm (which at its peak employed some 400 staff who worked on projects on five continents). Soon after Doxiadis’ death in 1975 however, both the school and his firm closed down, and the building fell into disuse. photo by George Fakaros, © One Athens. photo by Vangelis Paterakis, © One Athens. 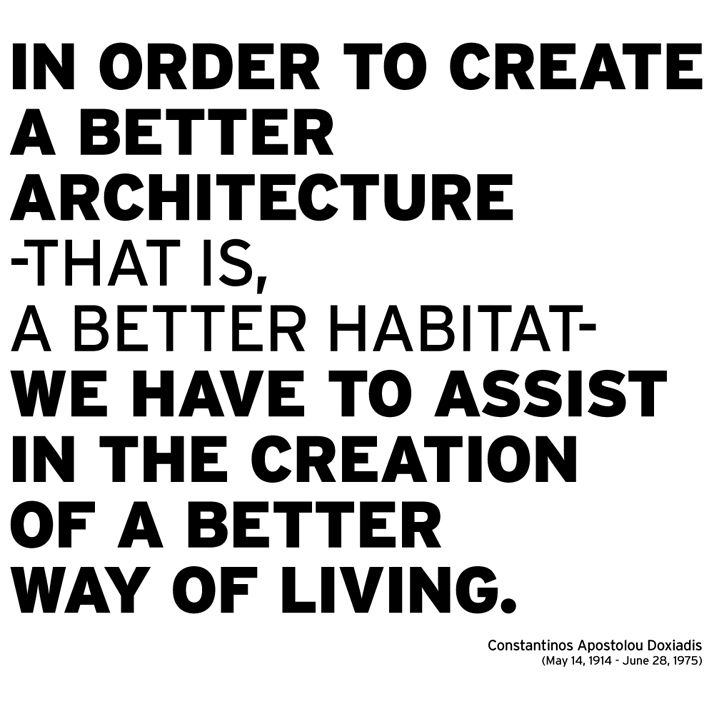 As the founder of Ekistics, the science of human settlements, Doxiadis has influenced many architects and urban planners around the world. He also coined the term ‘Entopia’, which refers to an ideal city that is built based on the scale and needs of human communities – a place which, in his own words, ''satisfies the dreamer and is acceptable to the scientist, a place where the projections of the artist and the builder merge.'' Unlike an Utopia (a place that is too perfect to exist, a ‘no place’), an Entopia is a city that people can actually build, as it places an emphasis on human measure rather than financial or other factors. Every day, and unbeknownst to them, millions of people around the world partake in Doxiadis’ ideas, as he has developed studies and programs for large urban centres and metropolitan areas such as Detroit and the Great Lakes region in Michigan, the state of Guanabara in Brazil (including Rio de Janeiro), Pakistan’s capital Islamabad and many other urban centres in Asia, Africa, Europe and the Middle East. Back in his home country, Doxiadis’ legacy includes (apart from his Office Building) the campus of Pierce College in Athens, the building of the Hellenic-American Union, the National Research Foundation, and the Macedonia Palace Hotel in Thessaloniki. However, the building now housing One Athens sets itself apart in the sense that the architect was also his own client. In designing this home for his school and company, Doxiadis created a small Entopia, a model community reflecting his ideals and dreams. The complex’s four buildings, all with wide openings on both sides so as to allow sunlight and air to permeate them, are built around an atrium, inspired by the central square found in Greek villages – a place of gathering and socialising that is neither private or public, but blurs the line between the two. 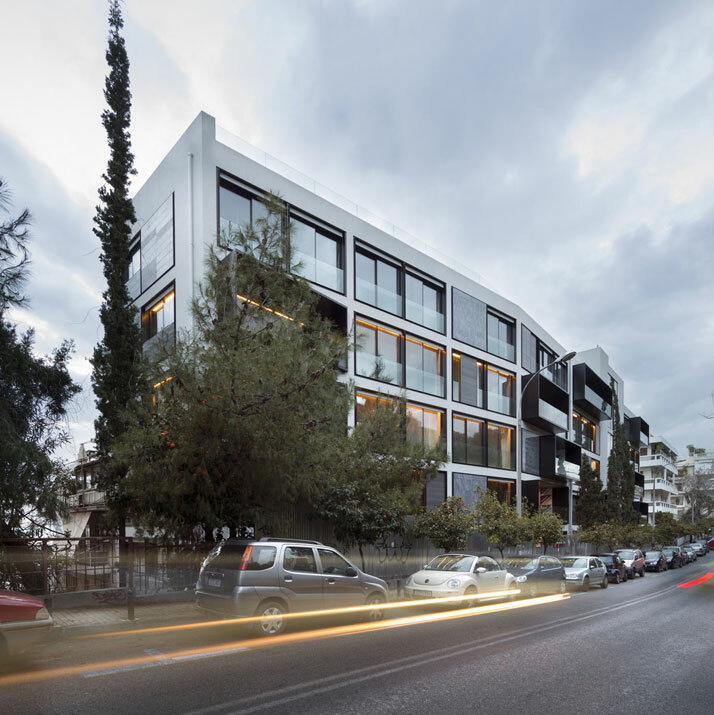 The sense of community and urban integration that Doxiadis had envisioned for his Office Building is at the very heart of the One Athens project. 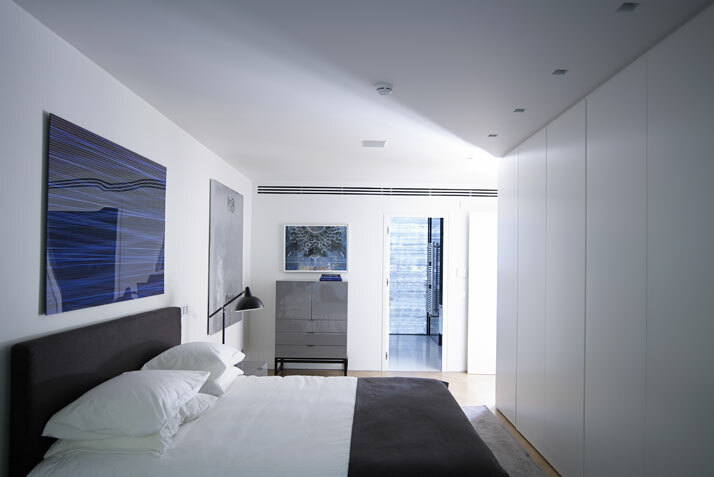 The main challenge that Divercity Architects had to face however, was how to transform the open-plan spaces originally intended as workspaces into contemporary residences. The solution was found in a rethinking of Doxiadis’ grid-like plan (which, not surprisingly, was based on a modulus of 75 sq. centimetres – the surface occupied by a single person and his/her working desk): the cube-like units of the building’s matrix were transformed into living-space modules, combined together to create larger residential spaces. 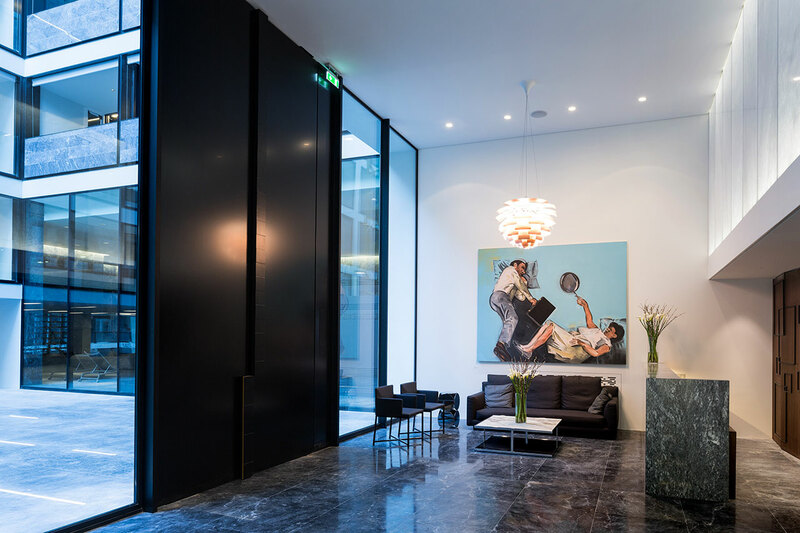 The resulting 26 residences vary in size and layout, and include everything from small studios, pied-à-terres and duplexes to spacious penthouses, the largest of which spans approximately 700 sq. meters. 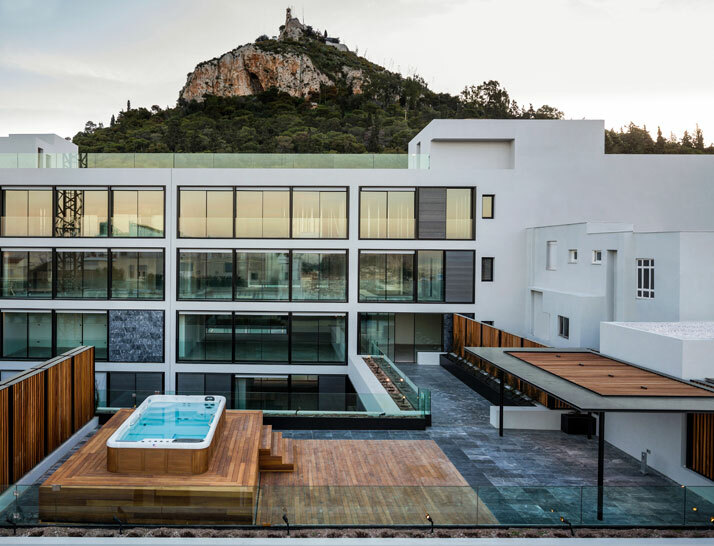 As the residential program required a different degree of privacy than an office building, three different materials have been used on the façade, in order to separate the residences into three zones of privacy. 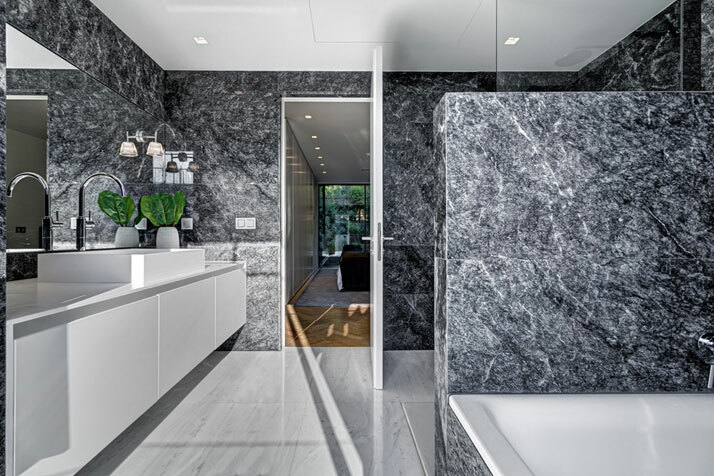 Marble-clad concrete walls have been used to seclude the more intimate zones, while special panels of translucent concrete have been introduced into the apartments’ mid-zones in order to conceal their interiors without completely cutting off the light. 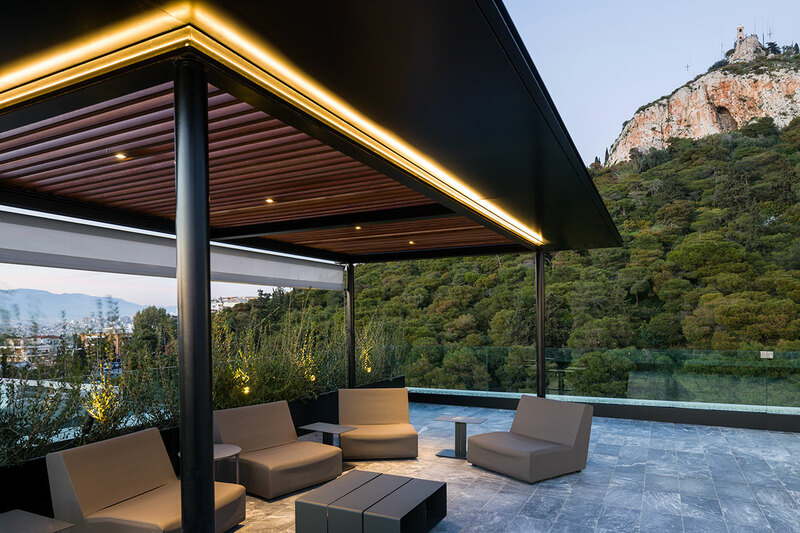 Living and leisure areas on the other hand, are lined with wall-to-ceiling windows, opening out onto the surrounding neighbourhood and the Lycabettus hill, as well as the show-stopping views of the city, the Acropolis and Saronikos Bay, all visible from the topmost floors. 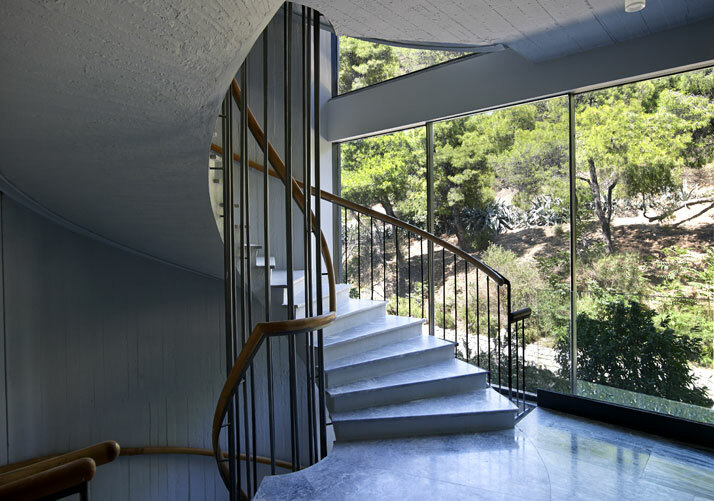 Inside, elements from the original design (such as the concrete ceilings and the dramatic spiral staircases) have been preserved, now combined with luxurious materials and state-of-the-art equipment. Aspiring to become a new kind of community in the city centre, One Athens is also the first residential complex in the city to offer 5-star-hotel amenities such as a 24-hour concierge service and security, as well as a fully equipped gym, a spa area with its own swimming pool, a playroom for children, a Club Room for movie screenings and a fully equipped Business Suite that can accommodate meetings of up to 14 people. 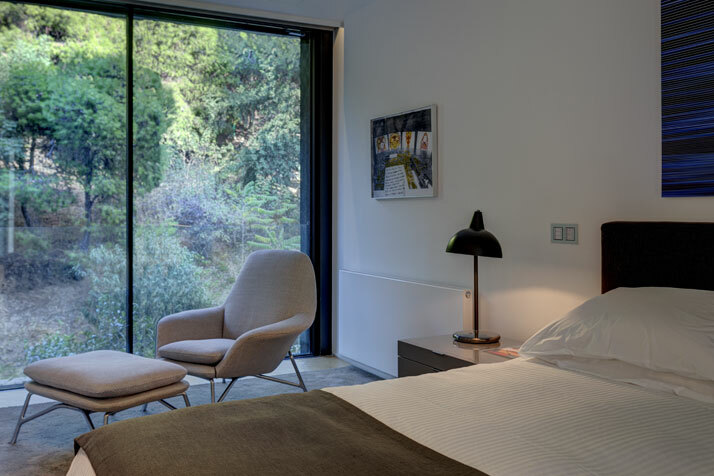 Residents of One Athens also have access to the exclusive Roof Garden which is atop the tallest building in the complex, as well as ample parking space and storage areas in the basement. The Joannou family's core business is construction and concessions through J&P (Overseas) and J&P-AVAX. The family is also active in shipping, quick service restaurants, real estate and hotels including the Semiramis (designed by Karim Rashid), New Hotel (designed by the Campana brothers) and the Athenaeum Intercontinental. 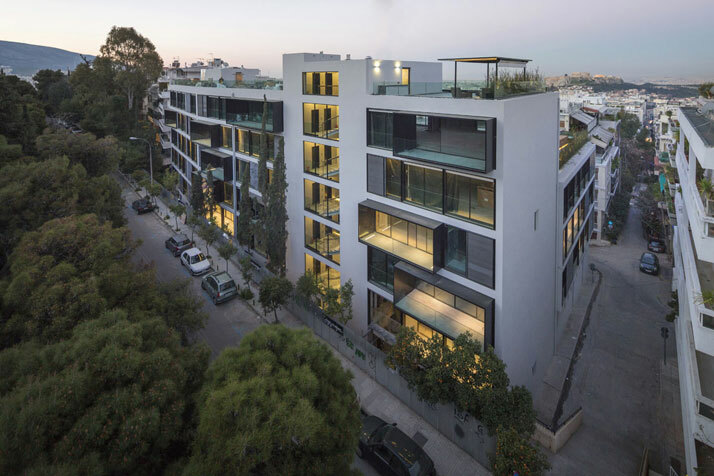 The Jean Nouvel Tower in Nicosia, is the latest real estate development which was recently completed via NiceDay Developments. Dakis Joannou, is one of the world's foremost collectors of contemporary art. His collection has been shown at the New Museum in New York and the Palais de Tokyo in Paris. Miltos Kambourides is the Founder and Managing Partner of Dolphin Capital Partners (DCP) one of the largest real estate companies by net assets listed on AIM of the London Stock Exchange. DCP’s main investment vehicle is Dolphin Capital Investors (DCI), which has raised almost €1 billion of equity funds and has grown to become a leading global real estate investor and developer of seafront leisure integrated resorts in Eastern Mediterranean and the Americas. The flagship resort of DCI in Greece is Amanzoe, which is managed by Amanresorts and was opened in summer 2012 to rave reviews from the international press and guests alike; Nearby, DCI is opening in summer of 2014 the Nikki Beach Resort – a redevelopment of a 70’s hotel building right on waters’ edge, which will comprise hotel suites, condos and beach club. 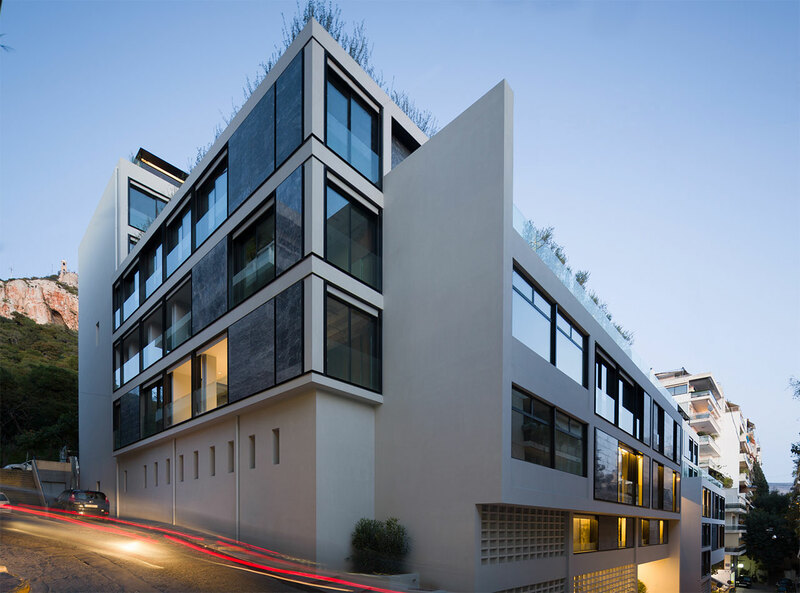 Divercity, founded in 2006, is an award-winning architecture practice and design studio with offices in London (RIBA Chartered Practice) and Athens. 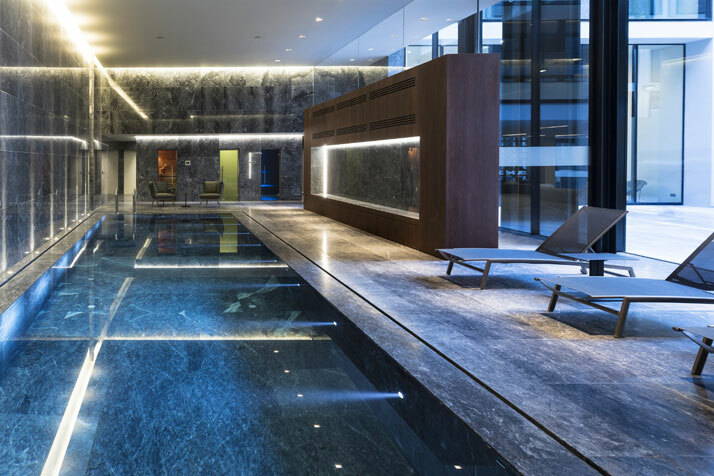 The practice boasts a wide portfolio of projects, ranging from hotels to private residences, housing complexes, commercial and public spaces in the UK, Europe and the US. An extensive monographic exhibition of the studio’s work is opening on the 29th May 2014 at the Benaki Museum, Pireos street, in Athens, Greece.